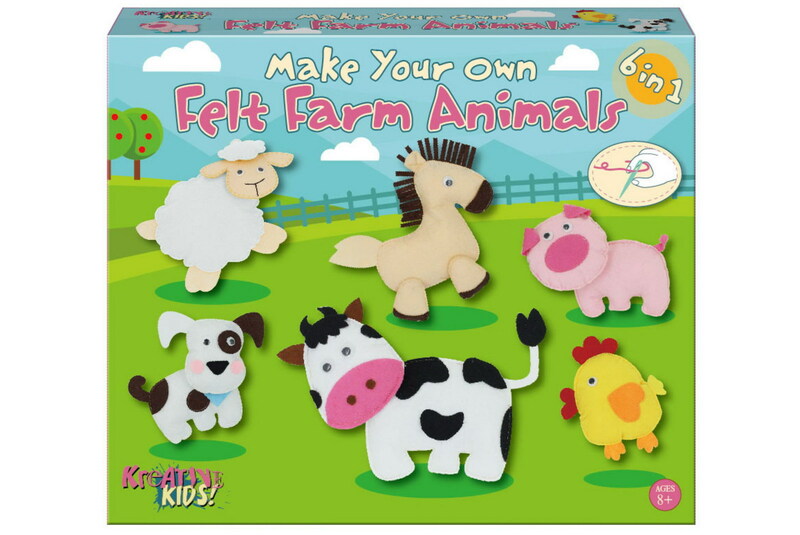 This Make Your Own Felt 6-In-1 Farm Animals Playset will be the perfect gift! This kit contains everything you need to design your own farmyard animal creations. 6 Farm Animals to make; Sheep, Cow, Dog, Pig, Duck and Horse! Kids will have hours of fun creating their very own felt animals!